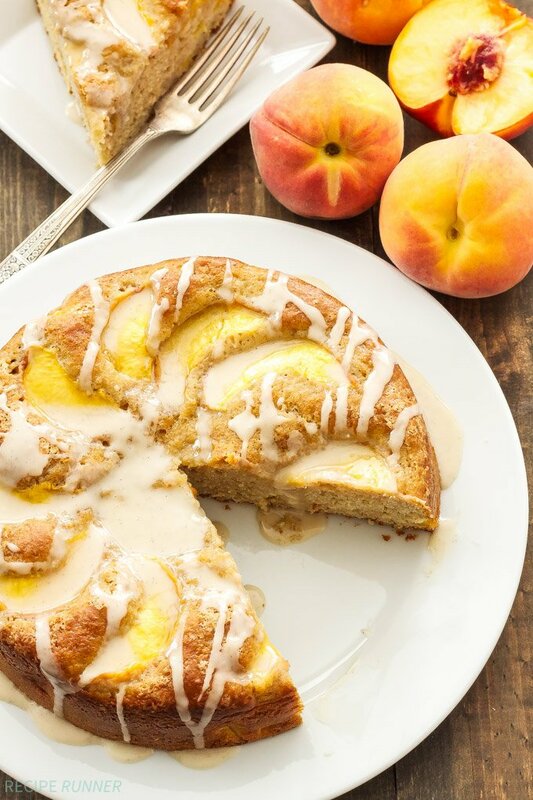 A sweet, moist, cinnamon cake loaded with peaches and lightened up with Greek yogurt! 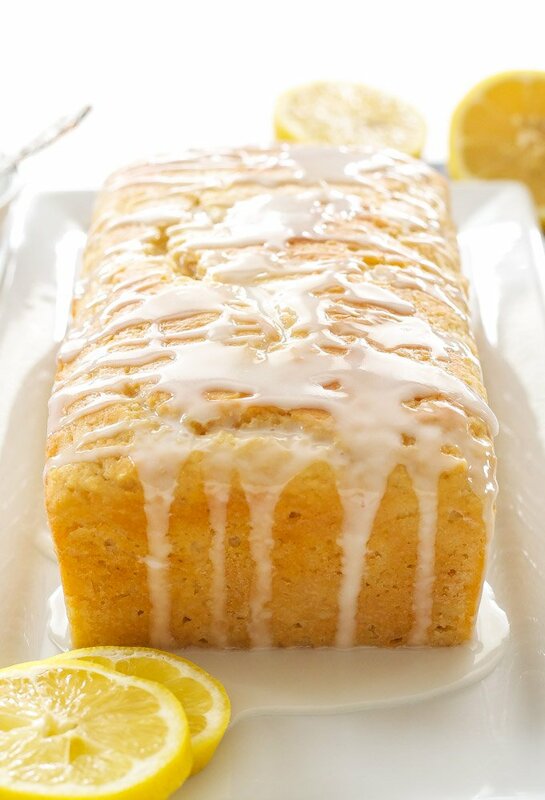 Drizzle the cake with vanilla bean glaze for a delicious summer dessert! Half way through another week, woohoo! This week has been going by pretty slow for me. I don’t know if it’s the heat that’s bringing me down or something else. I’ve had a total lack of motivation to work and would prefer to just lay in bed and binge watch Netflix shows all day. Sadly, watching Netflix all day doesn’t pay bills or leave me with any money to do fun things on the weekends, wouldn’t it be great if it actually did?! To help motivate myself to get through the rest of this work week and you too if you’re having a week like I am, I made a Cinnamon Peach Yogurt Cake. I know what you’re thinking, “Oh geez here we go with the peaches again”! I’m not going to lie, there will be a few more peach recipes showing up in the next month, but I promise I’ll break them up with other delicious recipes and not bombard you for a week straight with peach-a-palooza! 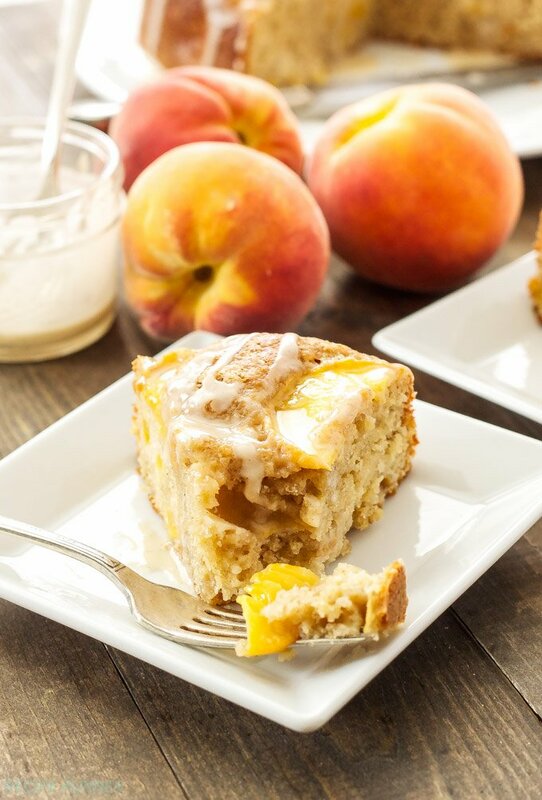 This cinnamon peach yogurt cake is not only full of peaches and tasting oh so good, but it’s also lightened up and kept extra moist by using lots of Greek yogurt! So this totally means you can have two slices, you bet your booty I did! This is an 8″ single layer cake, I tend to steer clear from baking layer cakes because all I need is a huge layer cake staring me in the face and daring me to sneak just one more slice. Not to mention I have yet to perfect frosting a layer cake. All you cake bakers/decorators out there, props to you and your awesome frosting skills, I envy you! 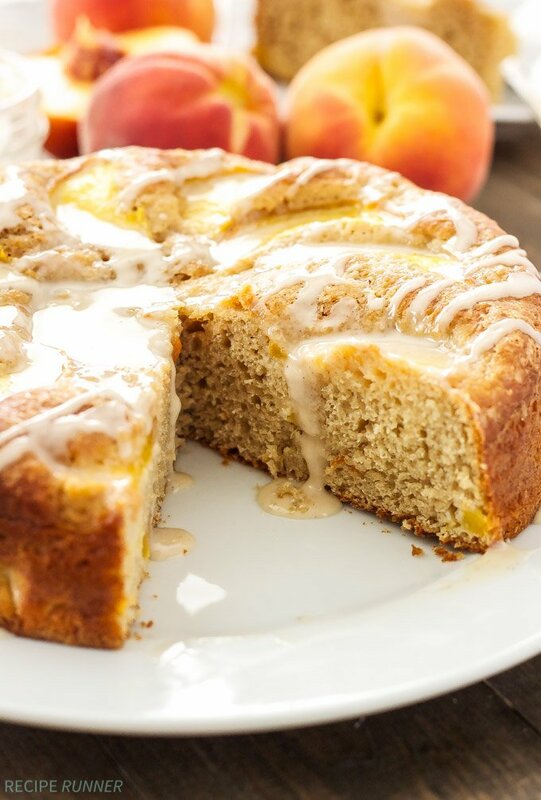 After your pretty little cinnamon peach cake is baked, let it cool completely. Then, go ahead and be a little naughty and spoon the awesome vanilla bean glaze all over the top. Since the cake’s lightened up, we can afford to be a little naughty and add the glaze, right? My favorite part about the glaze besides those flecks of vanilla bean, was how it filled the indentations where the peach slices on top had sunk down when the cake baked. It’s like a little swimming pool of vanilla bean glaze, be sure you get one of those slices! Spray an 8" cake pan with cooking spray then line the bottom with a piece of parchment paper, spraying and lightly flouring the pan once the parchment is in place. In a large bowl sift together the flours, baking powder, cinnamon, baking soda, and salt. In the bowl of a stand mixer with the paddle attachment or with a hand held mixer beat together the sugar and butter until well combined. Add in the egg and egg whites one at a time, beating until combined and scraping down the sides after the addition of each egg. Add in the vanilla extract and Greek yogurt and beat for another 1-2 minutes until combined. Slowly add in the dry ingredients beating until just combined. Remove the bowl from the mixer and gently fold in the diced peach. Pour the batter into the prepared cake pan and smooth out the top. Place the slices of peach in a circular pattern on top of the cake batter. Sprinkle the tablespoon of raw sugar all over the top of the cake if desired. Bake for 45-50 minutes on the middle rack of the oven or until a toothpick inserted in the center comes out clean. Let the cake cool for 10 minutes in the pan before removing it and cooling it completely on a wire rack. 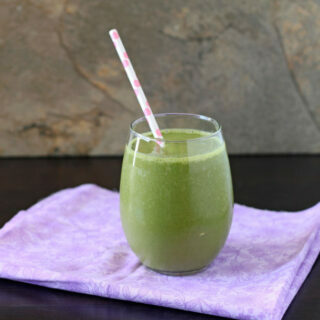 In a small bowl whisk together all of the ingredients for the glaze until it is smooth and pourable. If the glaze is too thick add a little more milk and if it's too thin add a little more powdered sugar. Pour or spoon the glaze all over the top of the cooled cake. I'd be ok with a peachapalooza! I love peach season! What a gorgeous cake! I love baking with greek yogurt - makes everything so moist! Thanks Stephanie! 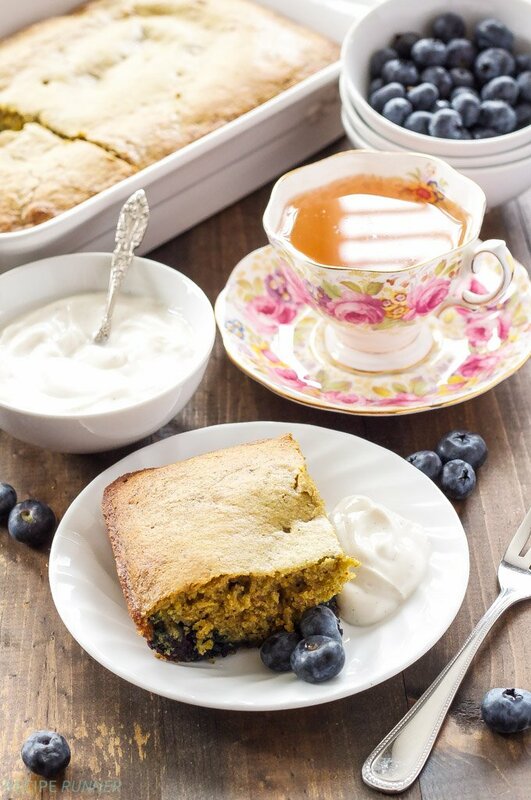 Baking with Greek yogurt is the best! I can't get enough of peaches so I love this simple yogurt cake. I wish I had a slice for dessert today! Peaches are so good right now, I have to take advantage of them! Wish I could bring you a slice of cake for dessert! Cinnamon is my favorite type of cake, cookie or doughnut! Love how moist your cake looks. Thanks Melissa! Cinnamon is just an all around delicious flavor! 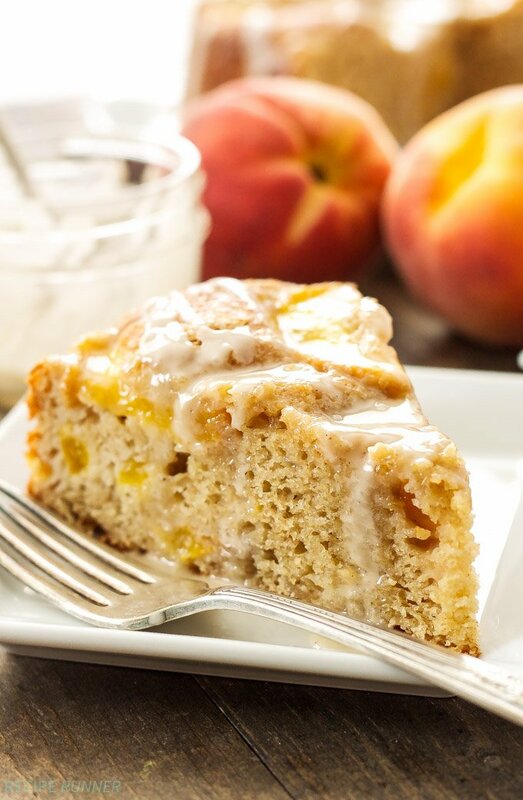 Come to my house with some of this peach cake and I'll teach you how to frost a layered cake. Good deal, right?! Amazing! This sounds like a great deal Beth! I'll be right over with some cake! Yogurt cake?!?! My two favorite things in one! This cake looks totally up my alley! Bring on the peach recipes! One of my favorite fruits, I love them in just about everything. I even threw them in my sandwich yesterday- YUM! 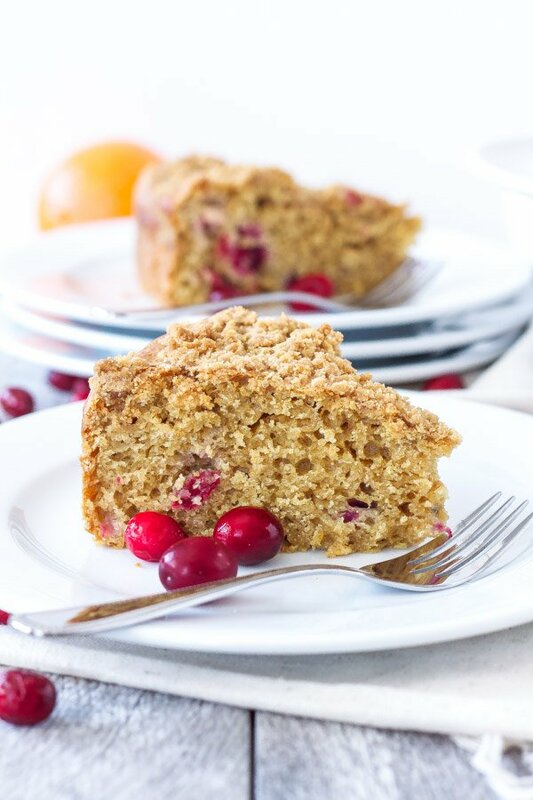 This yogurt cake looks like the perfect Saturday morning breakfast with a giant cup of coffee! I think this cake sounds wonderful, but what is pastry flour? Maybe it's because I'm British and we don't have it here, but I've never heard of it, could I use normal flour instead? Hi Jen! 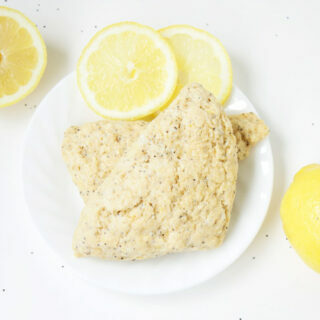 Whole wheat pastry flour is different from regular whole wheat because it has a lower protein level and therefore produces a more tender whole grain baked good. I prefer it over regular whole wheat because of the superior texture, but if you can't find it you can certainly substitute white whole wheat, regular whole wheat, or just plain all purpose flour.